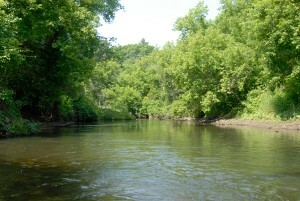 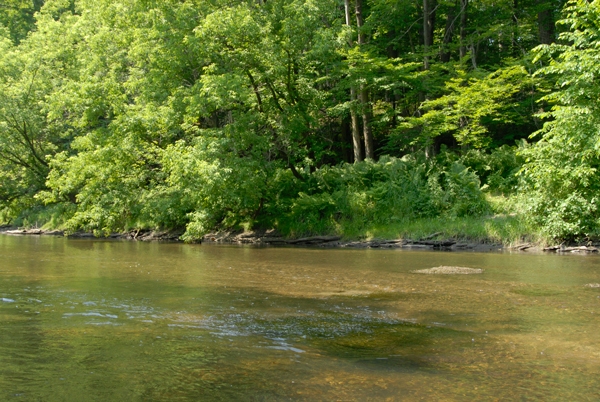 Click on each image of the work or of the Rest of River to get a larger version. 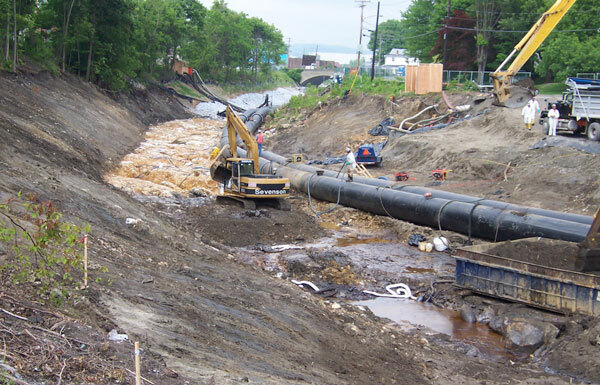 Work crews in some cases totally diverted the Housatonic River in order to dredge the shoreline and bottom of the river. 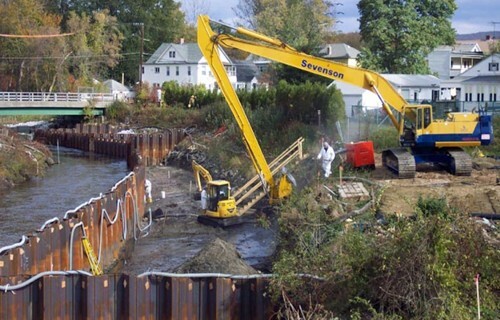 In many areas, work crews drove sheetpile into the Housatonic River to divert the water during work. 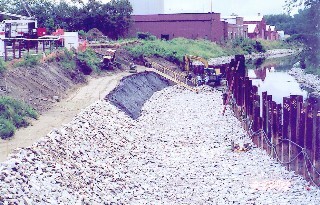 Crews lay down soil on top of a plastic barrier in the diverted Housatonic River in August 2002. 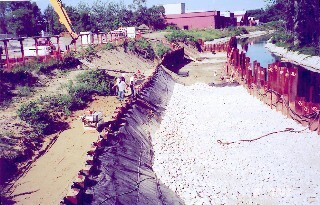 Workers dredge the banks of the Housatonic River in August 2002. 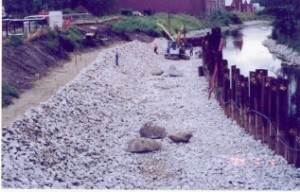 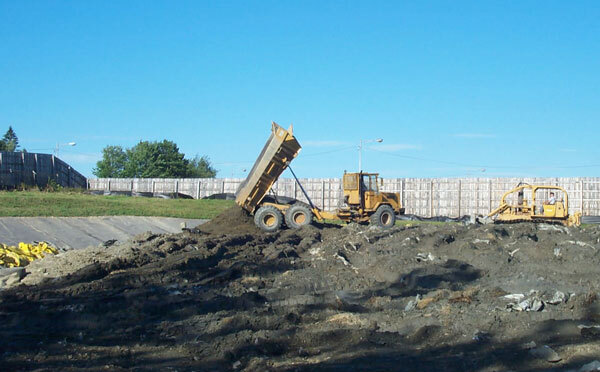 Armor stone was used in August 2002 to stabilize the banks of the dredged Housatonic River. 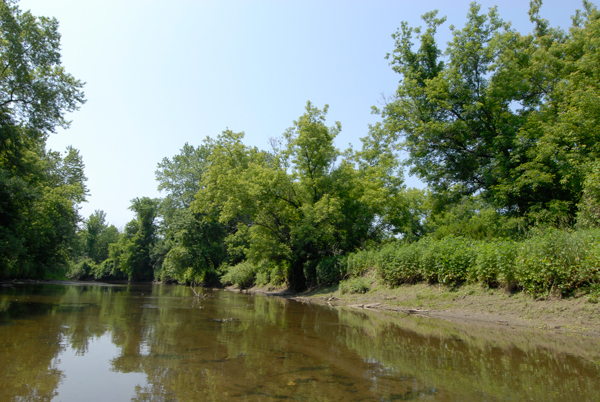 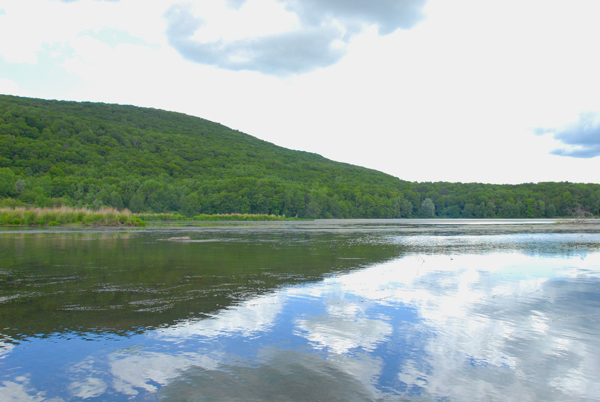 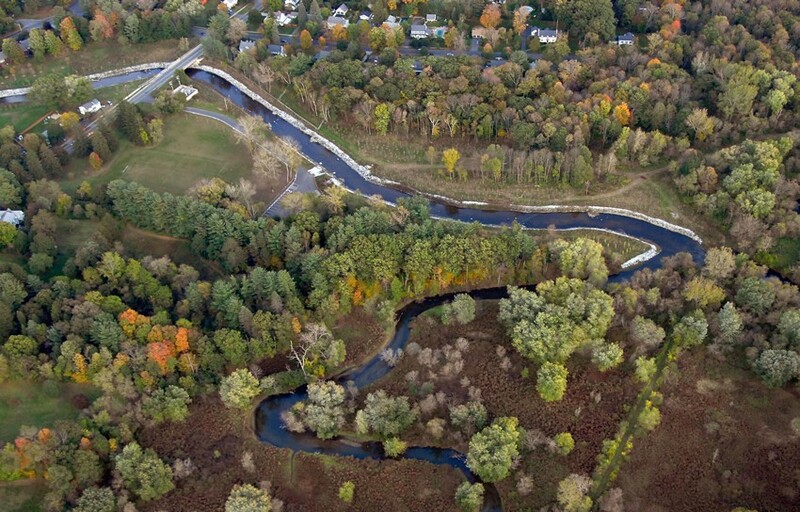 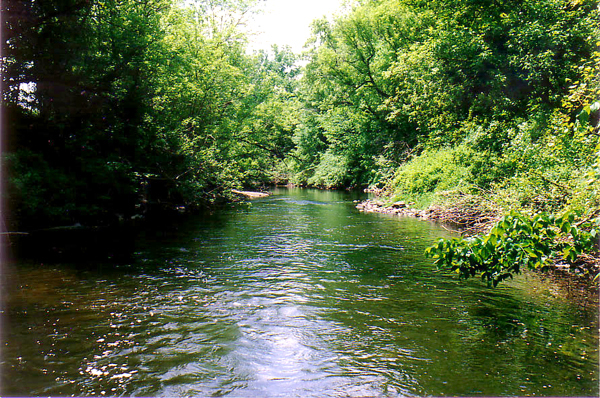 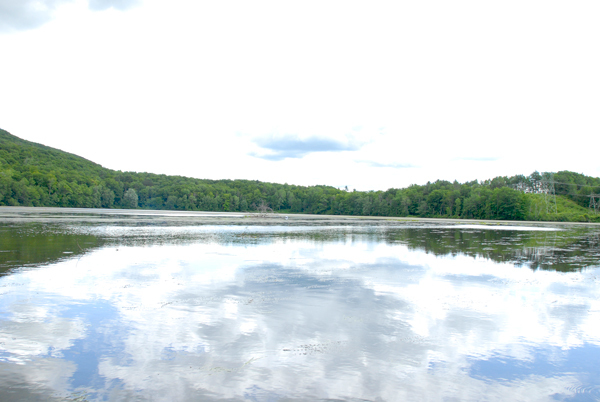 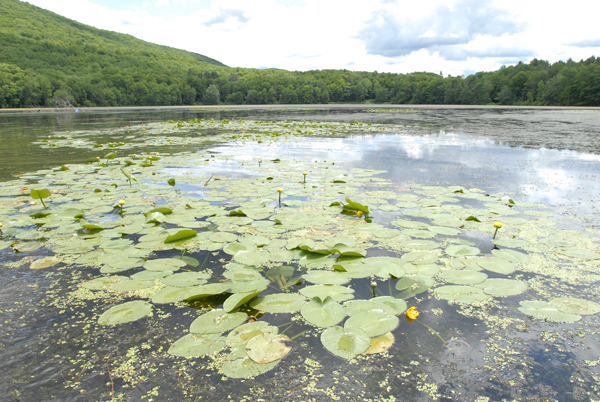 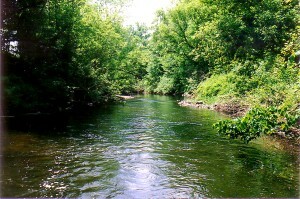 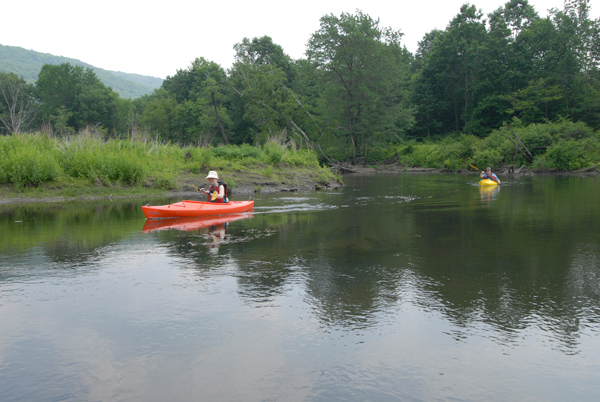 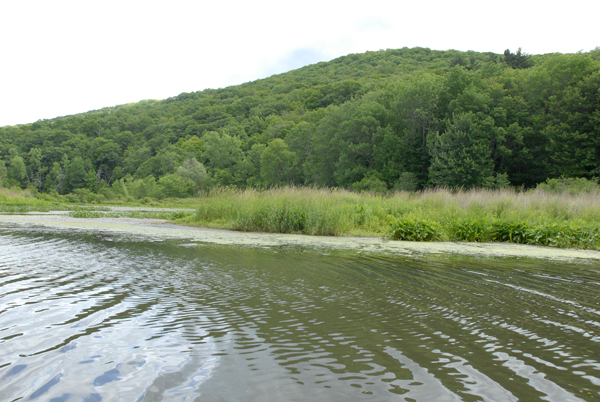 After dredging in September 2002, the Housatonic River shoreline was rebuilt with armor stone and plants. 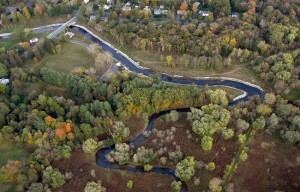 This aerial view of the Housatonic River shows large stretches where armor stone was placed along the shoreline following dredging. 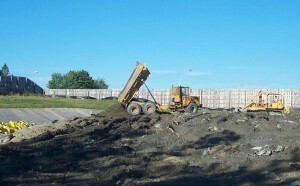 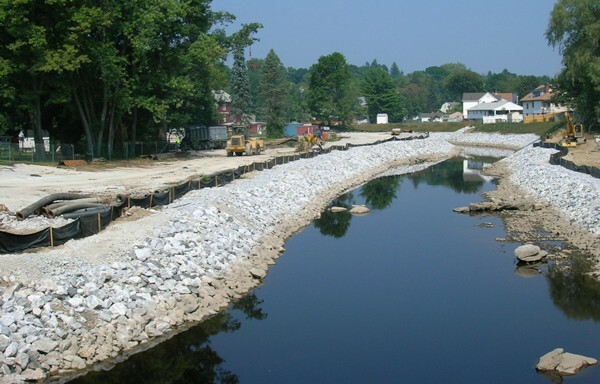 Crews use armor stone to complete Housatonic River shoreline stabilization. 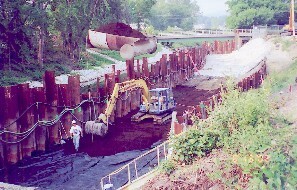 is currently under consideration for remedial work.